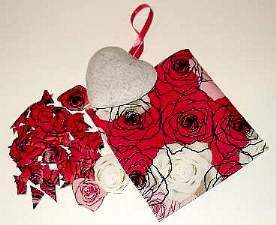 It doesn`t need to be valentine`s day to give a decorative heart. You can make and give them anytime. 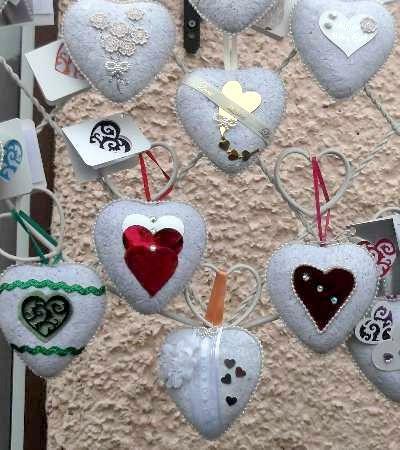 I turn recycled paper into white or brown paper mache hearts and decorate them every day of the year as gifts or sentiments for all sorts of occasions. 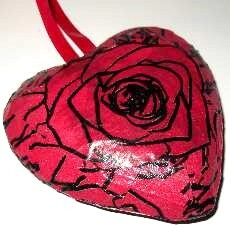 Here I am going to show you how to decoupage, a simple way to decorate one of my paper mache hearts. You can use any paper you like for the decorating. Some types though, work better. So if you really want a nice gift for someone, choose a good paper. So go get your materials girls...and boys if you want to impress the best girl in your life, your mum! I found some nice rosy wrapping paper for my project. I discovered the shinier the paper the poorer the quality of the end result. My paper was a bit shiny but I used it anyway because I liked the design. So you will need some decoupage paper or some other thin, matte, patterned paper, scissors, decoupage glue, and a flat bristled paint brush. Try cutting out features from your paper as well as cutting it into small pieces. Notice that I cut out a red rose. On the reverse side the rose is pink. Tearing is better than using scissors but I found it didn`t work with my shiny paper. This method produced white edges. Not good on red! 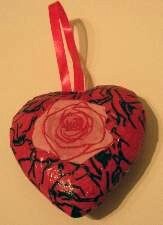 Start pasting the pieces onto your paper mache heart, overlapping them. Paste the paper over edges to get a smooth, tidy look. Don`t get caught in a sticky mess by rushing the process. Take your time! Do one side first and allow ample drying time then turn over and cover the other side. When you are finished covering your decorative heart with paper, add any small paper embellishments if you have them and then paste an extra coat of glue all over to seal it and get a smoother finish. If you love bling like I do, add a little line of glitter around some of the shapes before it dries. 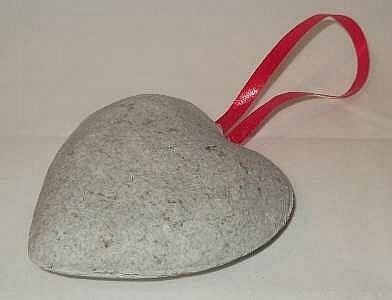 Now you have a hand made love token for whoever you wish to give it! Here are some of my hearts ready for decorating. You can select a heart with a ribbon of your color choice depending on the color of the paper or material you will be using for your decorative heart. 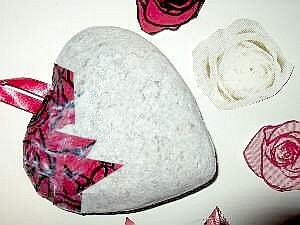 This is a sample of my decorative heart gallery. They are made from recycled white paper. I also have hearts made from recycled brown paper too. 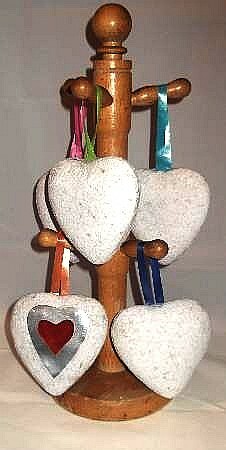 Click here to view the decorative hearts gallery for pretty love hearts.